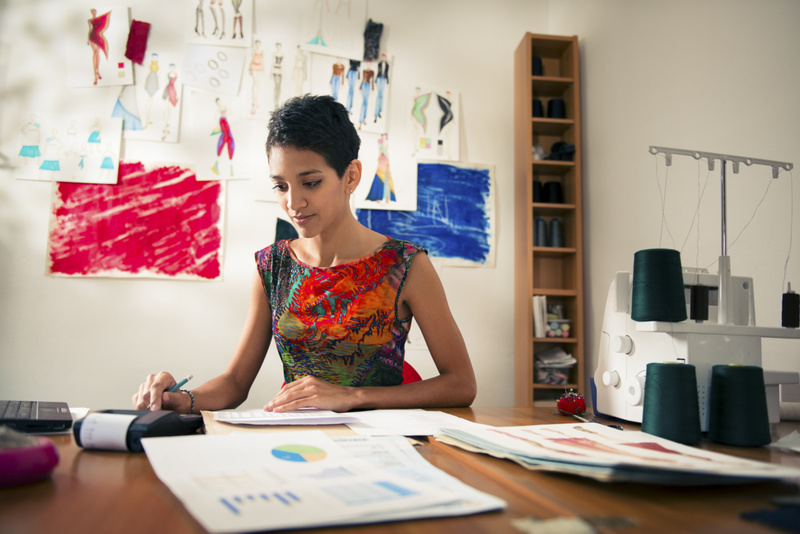 As a small business owner, it’s likely there will come a time when you need a small business loan to help you through a slow period or time of growth. There are a lot of options out there, and beginning your search can feel overwhelming. Below we’ll look at five key resources to guide you through the entire process, from deciding on financing type to putting together the strongest possible application. The first thing you’ll want to determine is the type of loan that’s right for your needs, and how much money you’ll need to borrow to get the job done. Different types of loans have different repayment structures and interest rates that run the gamut, so a loan calculator that’s specific to the type of financing you’re searching for is crucial. There are a variety of free loan calculators available online that allow you to determine the total cost of any type of loan you may be considering, including origination fees and interest. You should do this with any loan offer you can, as different lenders have different ways of quoting their pricing. A loan calculator will help you figure APR, which allows you to compare offers on an apples-to-apples basis and make sure you know exactly how much that loan will cost you. If you’re at a stage where your business is looking for financing, you should already have a business plan in place that is guiding your financial decisions. Even if the lender you’re seeking financing from doesn’t require a business plan as part of the application process, you want to be sure the underlying assumptions you’re making with respect to financial projections and your plans for the capital you’re borrowing are correct. This is where a trustworthy accountant or business mentor comes in. Ask your accountant or mentor to review your business plan (or help you create one if you haven’t done so yet) and provide honest, comprehensive feedback to make sure you have the strongest possible framework to guide your business decisions. Any lender, whether they’re a traditional bank or alternative lender, will want to see financial statements before establishing a relationship with you as a borrower. They’ll ask to see documents that demonstrate your business’s proven track record of success. The documents most frequently requested include income statements, cash flow statements, and balance sheets. For borrowers seeking their first loan for a new business, the lender will likely ask to see your personal financial statements and run a credit check on you as an individual, to ensure you’ve been a trustworthy borrower in your life prior to becoming an entrepreneur. Don’t forget: you should be reviewing these documents semi-regularly to assess your own financial health prior to applying for a loan. This can also help you zero in on the type of loan that makes the most sense for you based on your business’s structure, size, and current financial standing. Most lenders will want to see your annual business tax returns. You might consider this personal or sensitive information, and it is, but lenders have a good reason for wanting to take a peek at these documents. The first thing lenders will be looking for is your annual revenue. They want to make sure you are making enough to be able to pay for the loan. They will also take note of any losses. Obviously, losses are red flags for lenders that signify you might not bring in enough income to qualify for the loan you want. You might still be able to secure a loan, but chances are your interest rate will be higher, and the total amount you are approved to borrow could be less than you need. If you’ve already borrowed funds for your business, lenders will want to know about it. As they see it, the amount of outstanding debt you have may make it more difficult for you to take on additional financial commitments, but it can also demonstrate that you’re a responsible borrower with a solid repayment plan. A business debt schedule allows you to map out your outstanding loan and credit amounts and outline your monthly payments with interest and payment dates. Even if lenders don’t ask for this document, you can use it internally to make sure you never miss a payment, to keep a finger on the pulse of your business’s financial health, and to gauge whether your business is in a position to take on additional debt. Whether you’ve been running your own business for years or are looking to acquire business financing for the first time, doing the requisite research, planning, and organization up front will ensure the application process goes smoothly. Be sure to take advantage of all the resources you have available, from your company’s own data to accountants to online loan calculators, to be certain you’re making the best decision for your business.